Edinburgh for the exhibit This is Who We Are: Scots in Canada. It was an exciting year for the Joy Kogawa House Society, as the long sought dream of a writer-in-residence program became a reality. 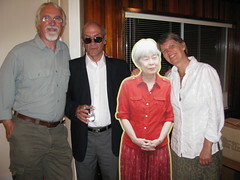 Montreal Arab-Canadian author John Asfour became the inaugural writer-in-residence and helped writers at Kogawa House as well as hosted events at the house, Vancouver Public Library's Central and Carnegie branches. By Christmas time author Joy Kogawa was enjoying her first Christmas season living in the house (temporarily) since she and her family had been forced to move in 1942 when they were sent to Internment Camps during WW2. On November 28th, I set foot in Scotland for my first time ever. 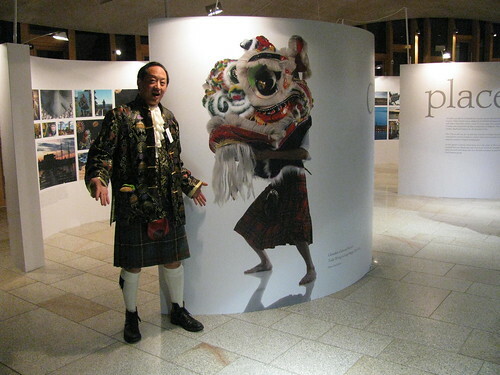 Since first wearing a kilt in 1993 for the SFU Robert Burns ceremonies and hosting the Gung Haggis Fat Choy Robbie Burns Chinese New Year Dinner since 1998, I no longer have to say that I've never visited Scotland before. It was a short but exciting trip as I attended the closing night reception at Scottish Parliament for the exhibit This Is Who We Are: Scots in Canada – co-hosted by the Scottish First Minster and Presiding Officer. I also visited Edinburgh Castle and many things Robbie Burns, as I made my way to Alloway in Ayrshire to visit the birthplace of Robert Burns at Burns Cottage. It had only just re-opened to the public and I had a special tour by manager of the Burns National Heritage Park. This is a review of some my my favorite stories and events from 2009. 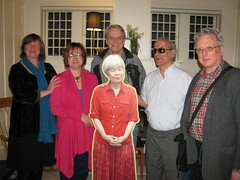 A life-size picture of Todd Wong aka “Toddish McWong” is included in Free Spirit exhibition at Royal BC Museum. The exhibit closed on January 14th 2009.
and brings special limited edition of 37 year old Famous Grouse whisky to auction off at the 2009 Gung Haggis Fat Choy Robbie Burns Chinese New Year Dinner. 3rd annual Gung Haggis dinner in Seattle Washington, hosted by Bill McFadden of the Caledonian and St. Andrew's Society of Seattle. Bagpiper Joe McDonald and Todd Wong travel to Seattle to perform and MC the event. I start off in Glasgow, visit a Haggis exhibit at Kelvingrove Museum, take the train to Edinburgh and attend the official Homecoming Finale ceilidh on the Golden Mile. 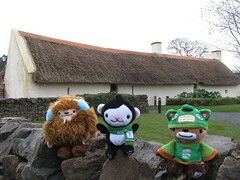 Todd Wong visits Robert Burns Cottage in Alloway Scotland. 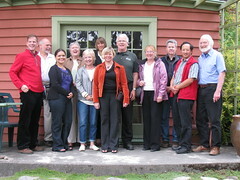 After extensive renovations, Burns Cottage is reopened to the public on Nov. 30th. Todd Wong has a special tour with Caroline Green, manager of Burns Heritage Park. This is the 1st Christmas season, that author Joy Kogawa has spent at her childhood home, since they were removed and sent to WW2 internment camps in 1942. Friends and family of both Joy Kogowa and Kogawa House attend. questions about the Scottish origins of singing Auld Lang Syne. 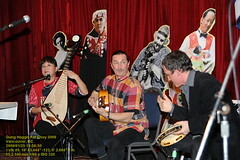 This entry was posted in Asian Canadian Cultural Events, Bagpipes, Cultural Fusion, Gung Haggis Fat Choy dinner, Gung Haggis Fat Choy DINNER 2009, Joy Kogawa & Kogawa House, Literary Events, Main Page, Multicultural events, Music, Robbie Burns Day, Robert Burns & Burns poetry, Scottish, Gaelic, Irish Celtic events and stories, Theatre, Todd Wong, Vancouver Heritage and History, Visual Art and related events, Wine, spirits and beer on December 31, 2009 by Todd. Thank you to our sponsors and prize donors from Gung Haggis Fat Choy Robbie Burns & Chinese New Year's Eve Dinner! 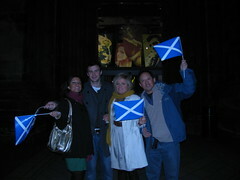 We had the biggest silent auction and raffle prize draws this year for the 2009 Gung Haggis Fat Choy dinner. Gerry O'Neil and Stuart Mackinnon were the staunchest bidders for the special limited edition of 37 year old Famous Grouse blended whisky valued at $800 CDN… in the end there could only be one winner – photo Patrick Tam Flunging Pictures. Every year we receive incredible prize donations for the Gung Haggis Fat Choy dinner. This contributes a lot to our fund raiser, as the dinner itself costs quite a bit, production costs include sound and equipment rental, poster and program production, and we always have complimentary tickets for our headline performers and special guests. 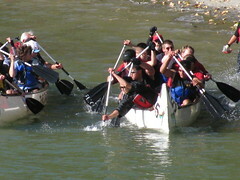 helping to raise a minimum of £10,000 for their chosen charities. The winner of this special bottle at the live auction at the Gung Haggis Fat Choy dinner was Gerry O'Neil. Mr. O'Neil is president of AAA Horse and Carriage, whose horse and carriage rides in Stanley Park walk past the Robert Burns statue in Stanley Park every day. Inspired by the Gung Haggis Fat Choy dinner, this first time attendee spontaneously donated a private horse and carriage ride to our silent auction. We also acknowledge our 2009 partnership with the Vancouver Chinatown Lion's Club, celebrating their 49th annual Burns Supper. Maxxium Canada – whisky tasting of Famous Grouse blended whisky and single malts The Macallan and Highland Park. AAA Horse and Carriages – private horse and carriage ride in Stanley Park. 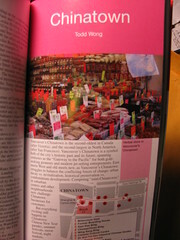 This entry was posted in Gung Haggis Fat Choy dinner, Gung Haggis Fat Choy DINNER 2009, Main Page on February 1, 2009 by Todd. Tickets for Gung Haggis Fat Choy are still available. Tickets for Gung Haggis Fat Choy are only available now from organizers. Ticket sales from Firehall Arts Centre and Tickets Tonight are now closed, as we are very close to a sell out. Firehall Box Office is always closed on Saturday. If you still want to come to the 2009 Gung Haggis Fat Choy Dinner. You will have to phone Todd Wong at 778-846-7090 – and make arrangements. IF we are sold out there will be NO tickets available at the door on January 25th. So call and confirm on Saturday. It's going to be an INCREDIBLE evening of fun. It is unlike any other Robbie Burns dinner you have ever attended or will attend. There will be lots of food, music, poetry and scotch – all the things that were close to the heart of Robert Burns, including the issues of social justice, equality, political change, speaking up for others, and love of life. It's the 250th Anniversary of Robert Burns…. what else would you expect? And did we mention that The Famous Grouse scotch whisky is now a sponsor for the dinner? And… I am HOT and IN THE ZONE…. after giving the “Address to the Haggis” at the 16th Annual Robbie Burns Dinner for the Vancouver & District Labour Council. Many people came up to me after my performance and said it was the BEST reading they had ever witnessed. Wow… what a compliment. But nobody said it was Obama-esque… I guess Pieta Woolley wasn't attending. This entry was posted in Gung Haggis Fat Choy dinner, Gung Haggis Fat Choy DINNER 2009, Main Page, Robert Burns & Burns poetry, Wine, spirits and beer on January 25, 2009 by Todd. statue of Robert Burns, Scotland's National Bard, was unveiled by J.
Ramsay MacDonald , a Prime Minister of Britain, on 25th August, 1928. This memorial was rededicated on the 200th Anniversary of the Bard's death by the Burns Club of Vancouver. I also wrote a story about all the other statues Vancouver's Robert Burns statue is a copy of the George Lawson original from Ayr Scotland with pictures of the same statue in Ayr Scotland, Halifax, Winnipeg, Montreal, Melbourne, Australia, Belfast and Paris. So this Sunday, at 12 noon. Leith Davis and I will meet to lay a wreath and flowers at the Robert Burns statue in Stanley Park. We'll read some poems and verses… and maybe sing Auld Lang Syne. Leith wants us to meet at 11:45am and take a group picture, so we can send it to her contacts in the other cities with Burns Statues – all at precisely the same time. And maybe while we are laying a wreath in real time, Leith will set it up to lay a wreath in virtual time, in Second Life. I'm really excited about this. I haven't met Leith in person yet. Leith will be a special guest at the Gung Haggis Fat Choy dinner on Sunday January 25th. We will have one of the largest Burns Suppers in Metro Vancouver with over 550 attendees. The world will come together to celebrate Robbie Burns Day on Jan. 25 – the 250th anniversary of his birth – in a way Scotland’s national bard would never have conceived. massive Burns celebration in cyberspace. event of its kind to focus on Burns in the Americas. century but as a poet who has much to say in our time,” says Davis. 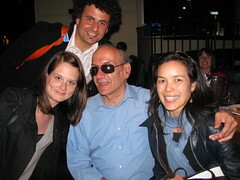 Davis is currently in Scotland to deliver a lecture, The Performance of Burns in Popular Culture, to the Royal Society of Edinburgh’s 2009 conference, Robert Burns and Global Culture. music and Burns Supper events. This entry was posted in Gung Haggis Fat Choy dinner, Gung Haggis Fat Choy DINNER 2009, Main Page, Robbie Burns Day, Robert Burns & Burns poetry, Vancouver Area Adventures, Vancouver Heritage and History on January 25, 2009 by Todd. Missing are television appearances or mentions. week. And… I also received a phone call from Global TV's Sophie Lui. There are 4 related Gung Haggis Fat Choy events happening in Vancouver this week, that I will be at. Fat Choy, a combination of both cultures happening at SFU next week. … by Jim Byrnes at Barbara Jo's (bookstocooks.com), and the favourite Chinese/Scottish hybrid dinner, Gung Haggis Fat Choy (http://www.gunghaggisfatchoy.com). This entry was posted in Gung Haggis Fat Choy dinner, Gung Haggis Fat Choy DINNER 2009, Main Page on January 24, 2009 by Todd. overlooked. “I’m one of the invisible-visible minorities,” he says. 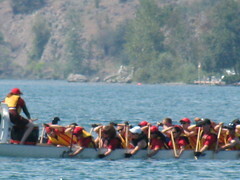 years as a restaurant-hosted fundraiser for Wong’s dragon boat team. to host as many as 590 attendees. of a 2004 CBC television special. traditional Scottish dish that is a Robbie Burns Day favourite. 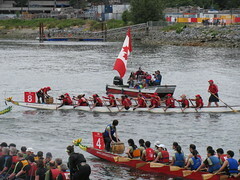 Haggis Fat Choy dragon boat team. where we purposefully put haggis in Chinese cooking,” says Wong. for Robbie Burns celebrations around the world. 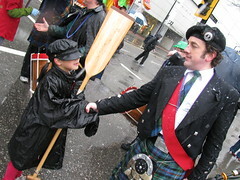 This entry was posted in Canadian Identity, Canadian Identity & Heritage, Chinatown Vancouver, Cultural Fusion, Gung Haggis Fat Choy dinner, Gung Haggis Fat Choy DINNER 2009, Kilts - wearing kilts, Main Page, Robert Burns & Burns poetry, Todd Wong on January 23, 2009 by Todd.